Transfer a balance from your high interest credit card for a lower rate with no transfer fee. Re-establish your credit with the Members 1st Share Secured credit card. Transition your card to a Visa Classic after routine on-time payments and credit qualifications have been established. Get a great rate starting as low as 18.99% APR*. 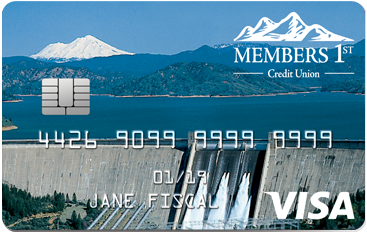 Pay no annual fee with the Members 1st Visa Share Secured credit card. Most other financial institutions charge an inflated APR on cash advances, much higher than your purchase APR. Your Members 1st Visa Share Secured credit card cash advance APR is the same as your purchase APR, saving you money on finance charges. Choose the interest rate of your current credit card and your monthly spending to see how much you could save with our Visa Share Secured card.